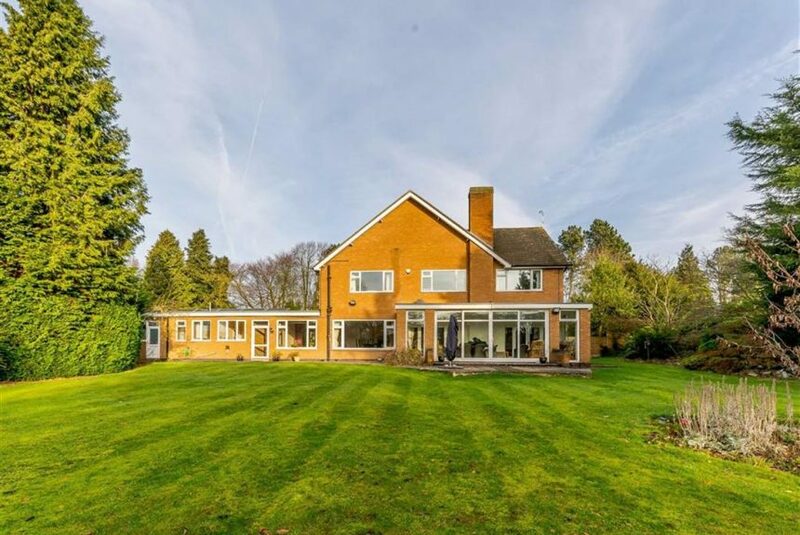 Accessed off the delightful, tranquil, tree lined Southmeads Road, through brick pillared posts onto a private, in and out driveway, this imposing house with striking canopied porch invites further exploration. 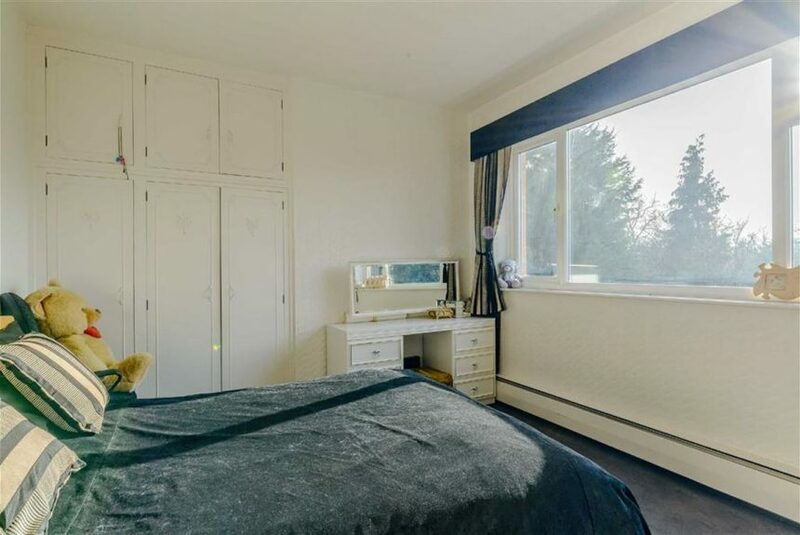 Every room is generously proportioned and bathed in light, with substantial well maintained south facing gardens, triple garage and solar panels. 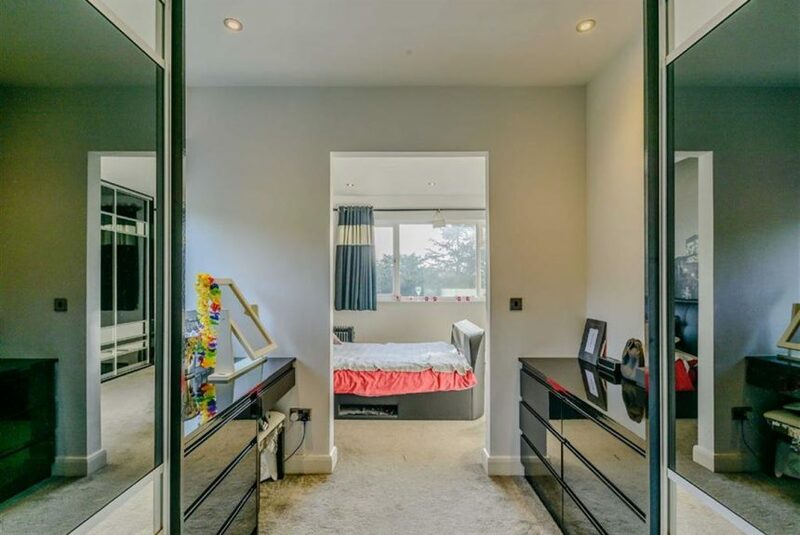 The property briefly consists of: impressive entrance hall, two reception rooms, conservatory, study, kitchen breakfast room, utility, four bedrooms, two with ensuites and master with dressing room and family bathroom. 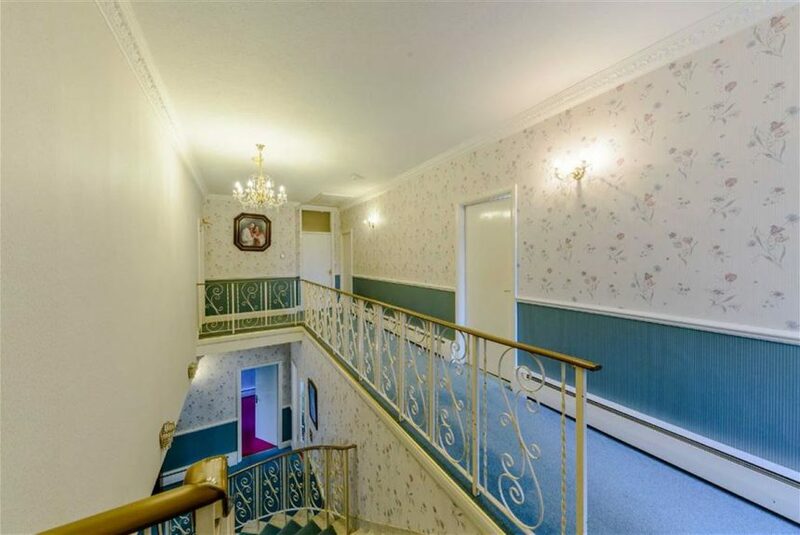 EPC C.
Chandelier points, wall light points, decorative coving, gas fired skirting board heating, which features throughout the property, and an imposing, sweeping marble staircase to first floor with decorative wrought iron spindles to a galleried landing. Access via timber door, ceiling light point, obscure leaded uPVC double glazed window to front elevation, wash hand basin set in period vanity unit with guilt pillar tap over, cloakroom cupboard with coat hanging rail and cupboard over, timber door leading to downstairs WC with ceiling light point and obscure leaded uPVC window to side elevation. 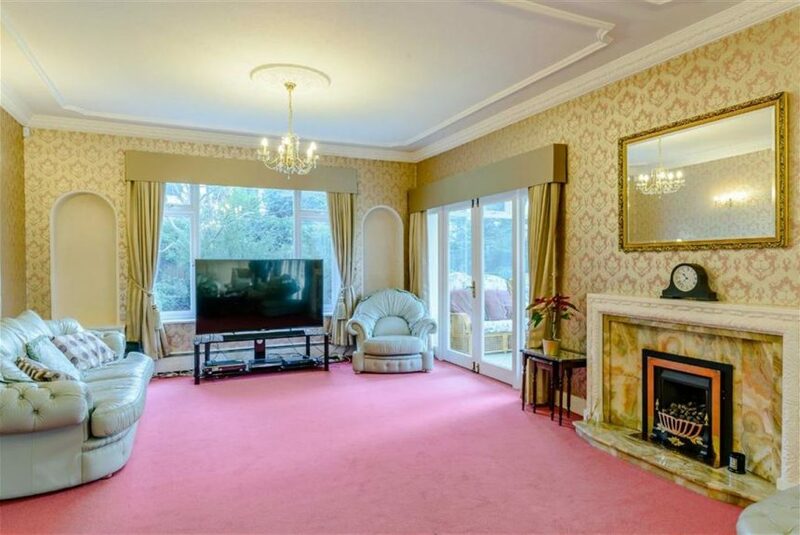 A formal Dining Room with chandelier point on decorative ceiling rose, matching wall light points, decorative coving to ceiling, uPVC double glazed picture window overlooking the garden, skirting heating and decorative glazed serving hatch to Breakfast Kitchen. A large, flat roof Conservatory with uPVC double glazing to all elevations and three port hole ceiling lights, wall mounted lighting points, ceramic tiled flooring and full height sliding doors stepping down to the patio. 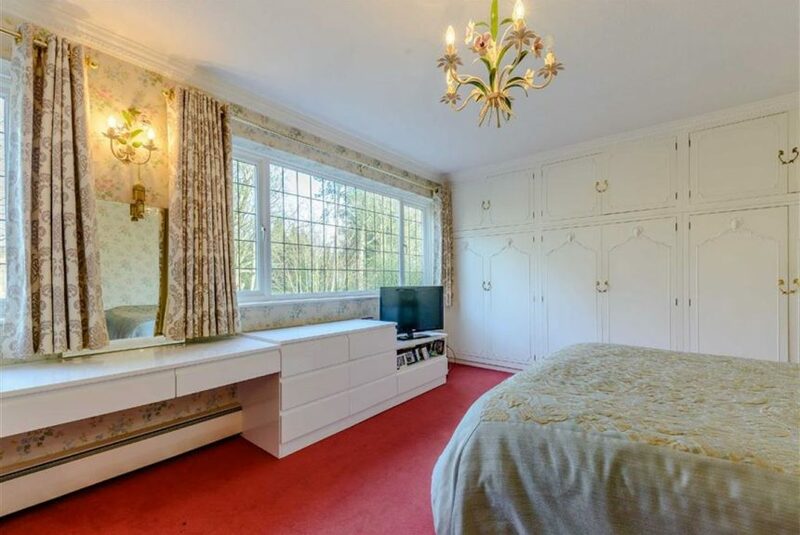 Currently used as a Games Room, a perfect setting for a study with ceiling light point, uPVC double glazed windows to front elevation and skirting board heating. 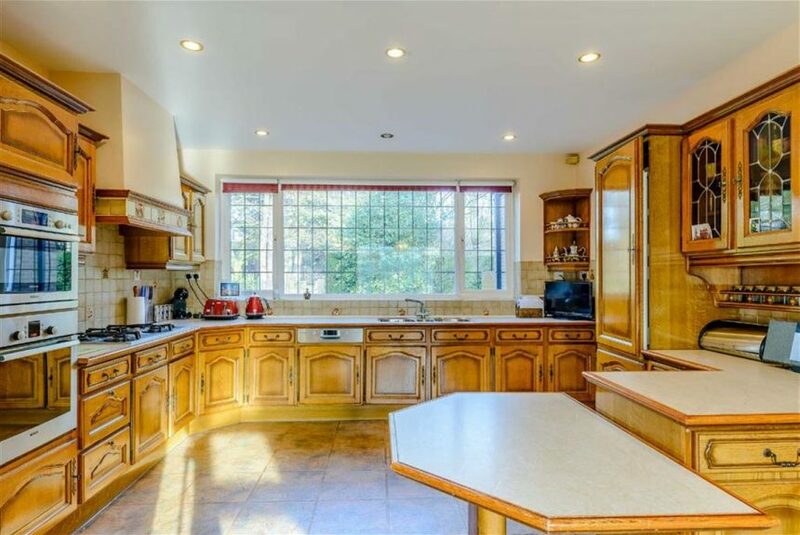 This light and airy open plan Breakfast Kitchen spans the full depth of the property accessed via an obscure glazed timber door off the hallway with inset spotlights, full width uPVC double glazed leaded window to front elevation, serving hatch to Dining Room, skirting board fan heater, radiator and tiled flooring. The generous kitchen is fully fitted with solid antique pine wall and floor kitchen units offering a range of storage solutions including decorative shelving and spice rack, laminated work top, matching breakfast bar and tiled splashbacks with integrated Franke stainless steel double sink with gully and mixer tap over, integrated Bosch dishwasher, electric fan oven, microwave oven and grill and five ring gas hob with extractor over. 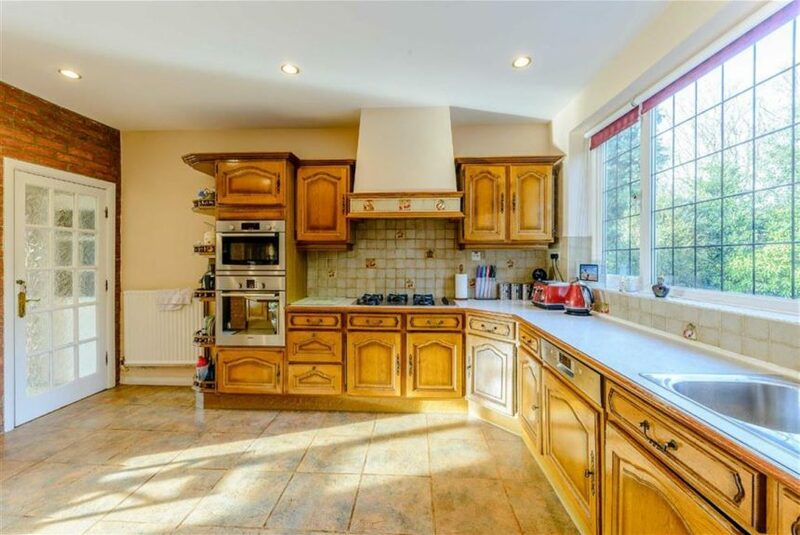 Next to the kitchen, off the hallway, is a larder with ceiling light point, shelving, alarm and fuse box. 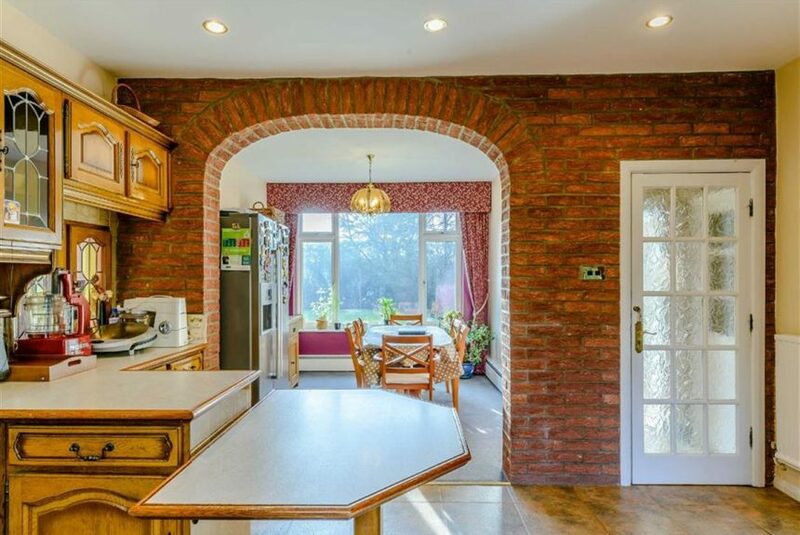 An exposed brick archway leads from the kitchen to the Dining area with chandelier point, uPVC double glazed window overlooking garden, skirting heating and recess for American size fridge freezer. Ceiling light point, tiled flooring, Keston boiler and hot water tank. 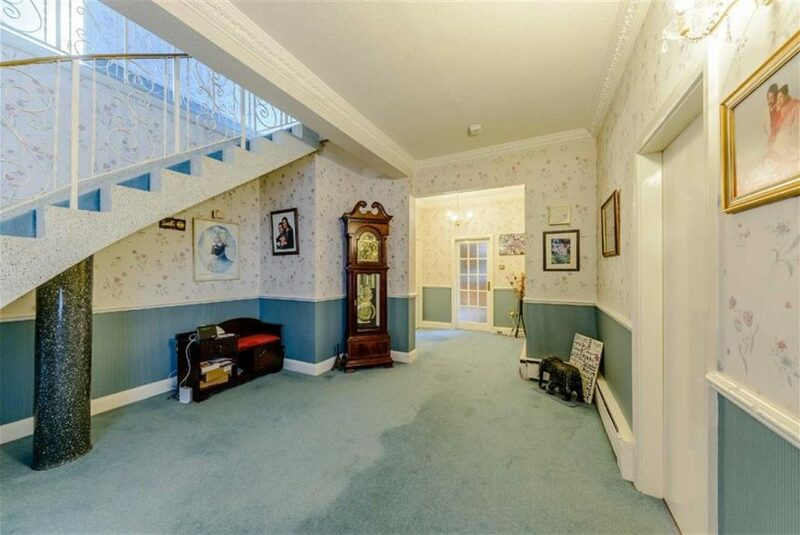 The elegant staircase leads to a galleried landing chandelier point, matching wall light points, uPVC double glazed leaded window to side elevation, decorative archway to Bathroom area, loft access hatch and skirting board heating. Opaque glass door opens to matching three piece bathroom suite comprising of large walk-in shower with open glass surround, floor to ceiling tiled walls and rainhead and hand held shower heads, contemporary ceramic wash hand basin set in marble and black gloss vanity unit with lit mirror over, matching concealed flush WC, obscure uPVC double glazed leaded window to front elevation, chrome heated towel rail, extractor and tiled flooring. Inset spotlights, obscure uPVC double glazed window to front aspect, part tiled walls, fully tiled shower cubicle with Aquilisa power shower and guilt fittings, concealed flush WC, ceramic wash hand basin set in vanity unit with mirror and inset spotlights over and gilt heated towel rail. Inset spotlights, coving to ceiling, wall light point, floor to ceiling ceramic tiling, obscure uPVC double glazed leaded window to side elevation, guilt heated towel rail, skirting board heating and a three piece bathroom suite comprising of double corner shower with sliding glass doors and chrome Mira shower, ceramic sunken jet bath in marble surround, tiled step up, guilt taps and mirror over, ceramic wash hand basin set in matching marble vanity unit with guilt taps and mirror over, extractor and decorative shelving. 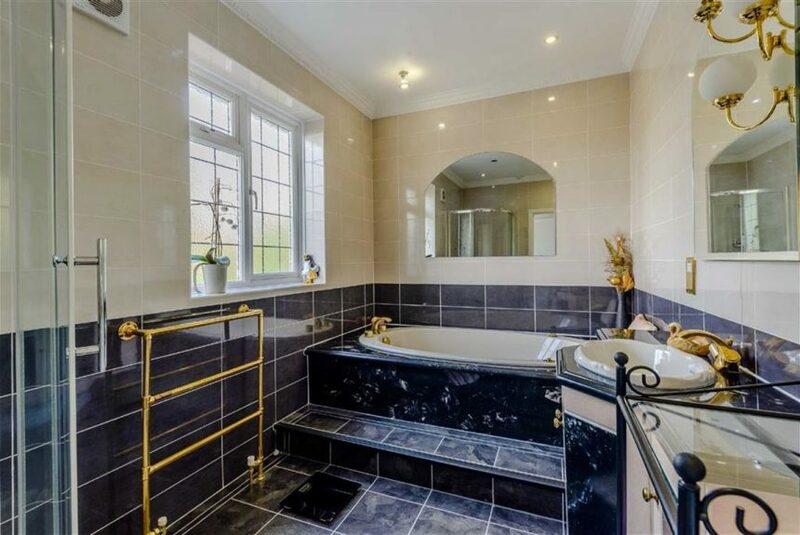 Ceiling light point, obscure uPVC leaded double glazed window to side elevation, half tiled walls, ceramic wash hand basin set in vanity unit with guilt taps, low flush WC and radiator. 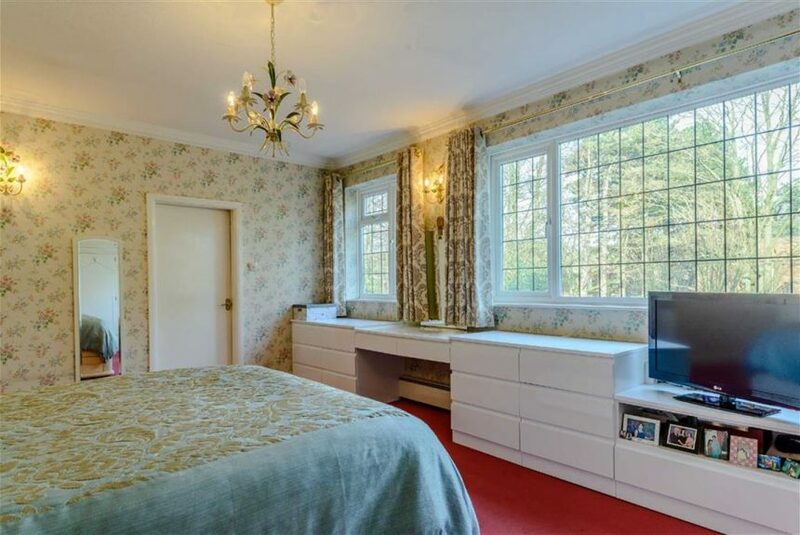 Ceiling light point, wall light points, uPVC double glazed window to rear elevation, built in traditional double wardrobe and skirting board heating. 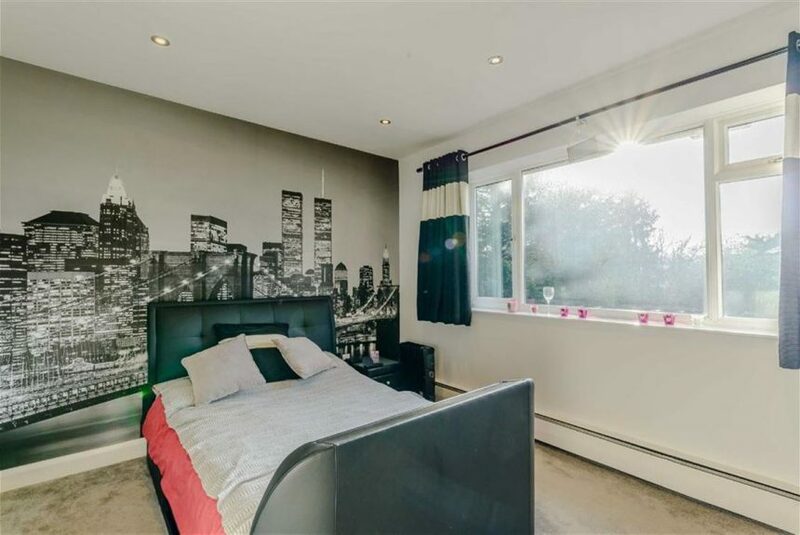 Ceiling light point, uPVC double glazed window to rear elevation, three original single fitted wardrobes in recess, ceramic wash hand basin set in vanity unit with tiled splashback and mirror and strip light over and skirting board heating. Ceiling pendant, uPVC double glazed leaded window to front elevation, radiator and ample timber shelving for storage. 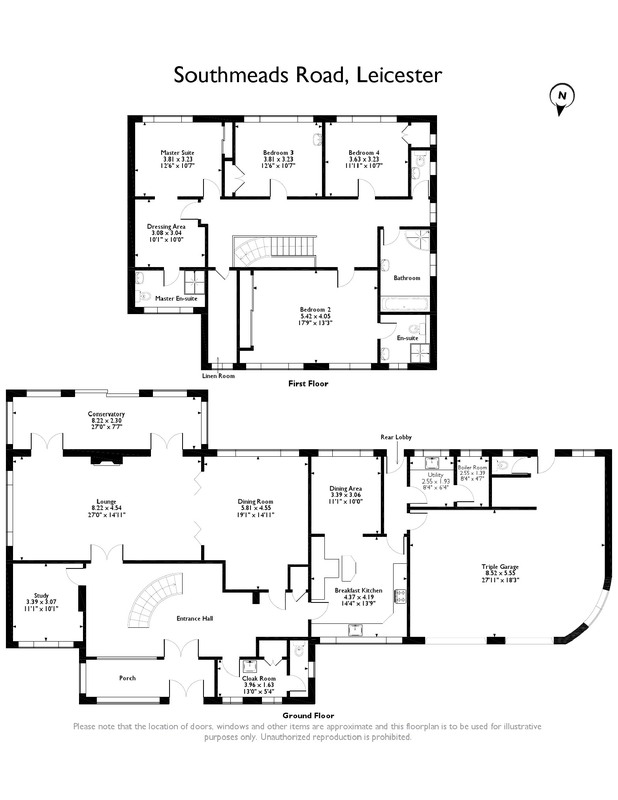 A large open plan double and single combine garage with power and light, electric roller doors and access to main house via rear lobby uPVC double glazed window to side and rear elevations, workshop area, inspection pit and separate WC. 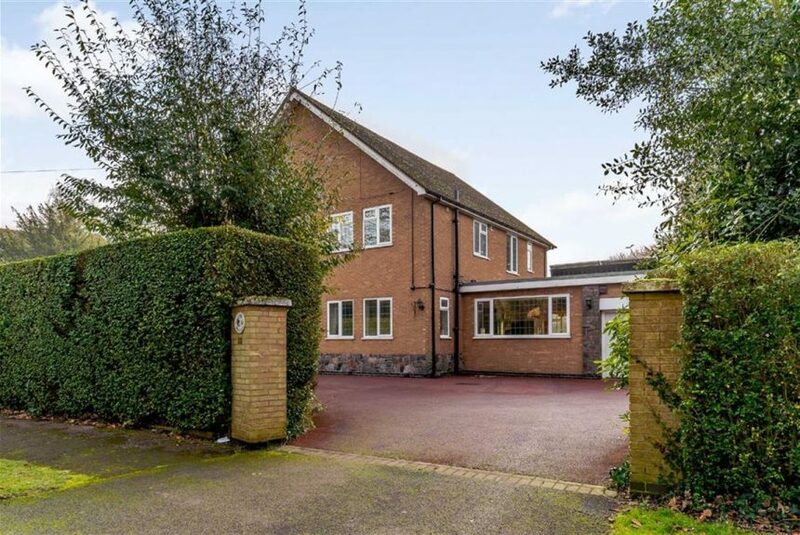 Accessed off the delightful, tranquil, tree lined Southmeads Road, through brick pillared posts onto a private, in and out driveway with external lighting and well maintained front garden, lawned area, mature hedged boundaries and access to the large triple garage with solar panels. The rear garden can be accessed via double timber gates onto a side lawned area with crazy paving leading to the rear gardens. 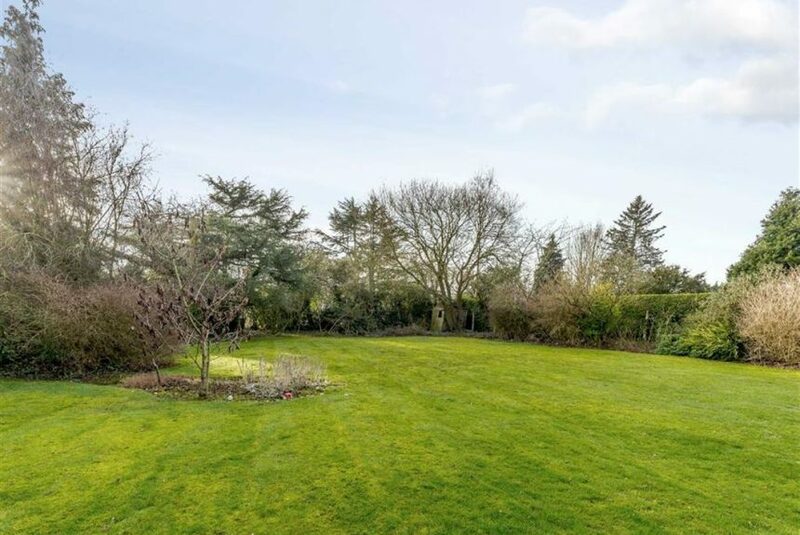 The striking large south facing garden of well established trees, shrubs and flower beds surrounding the lawn, along with boundaries of mature hedging and timber fencing, creates a private rural haven. The crazy paved patio provides a seating area in front of the Conservatory with outdoor sensor lighting and to the rear of the garden is a shed on hard standing.